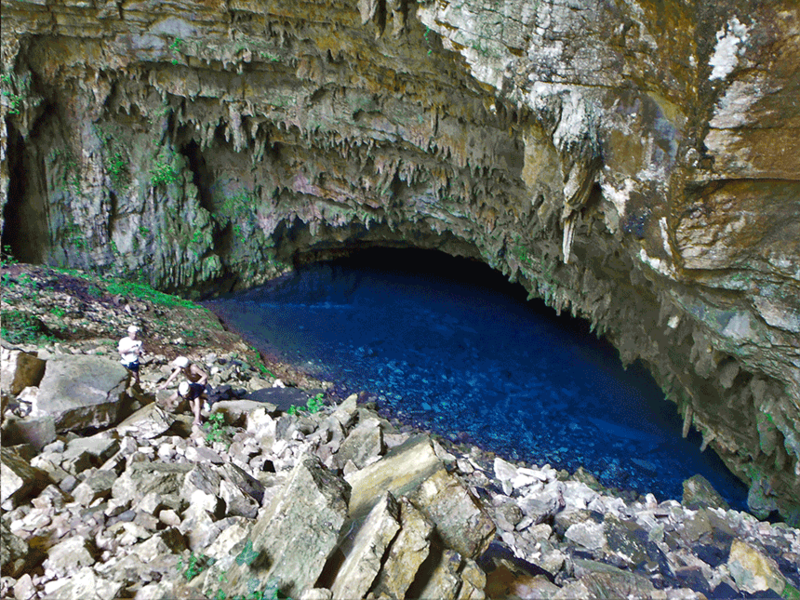 Discover the amazing underground world of Kefalonia. 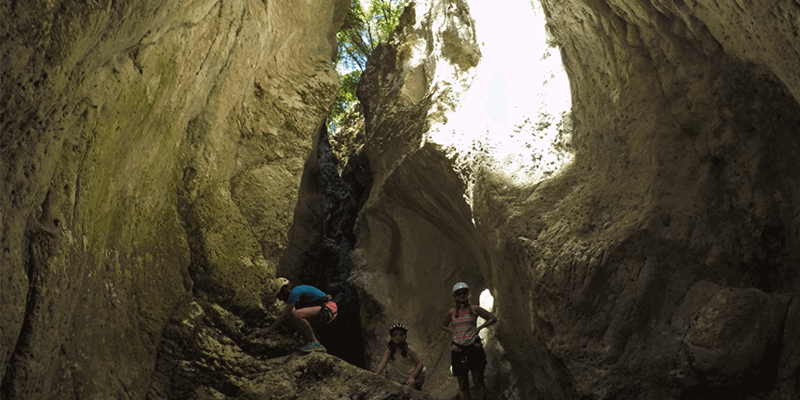 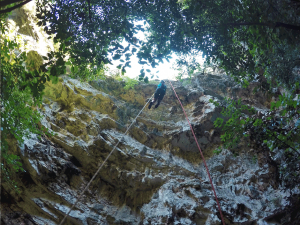 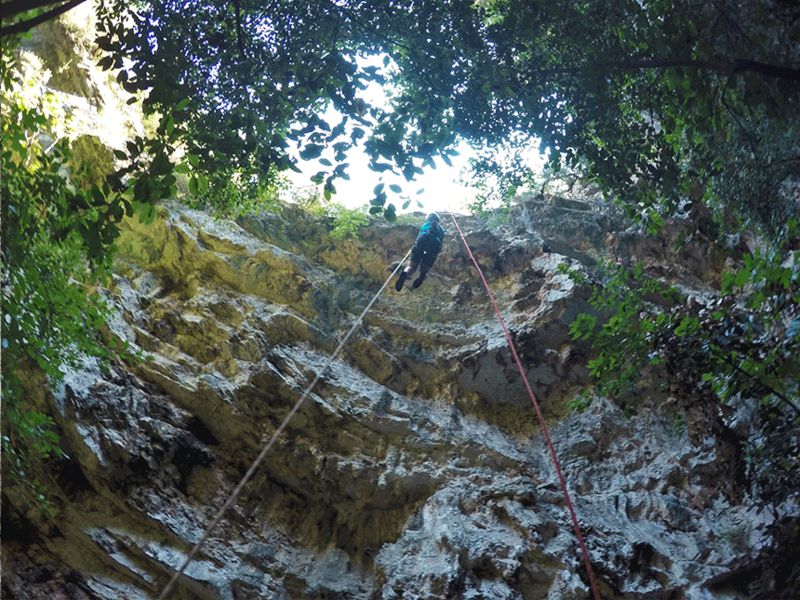 During this activity we descend to two or three vertical caves (depending on your experience). 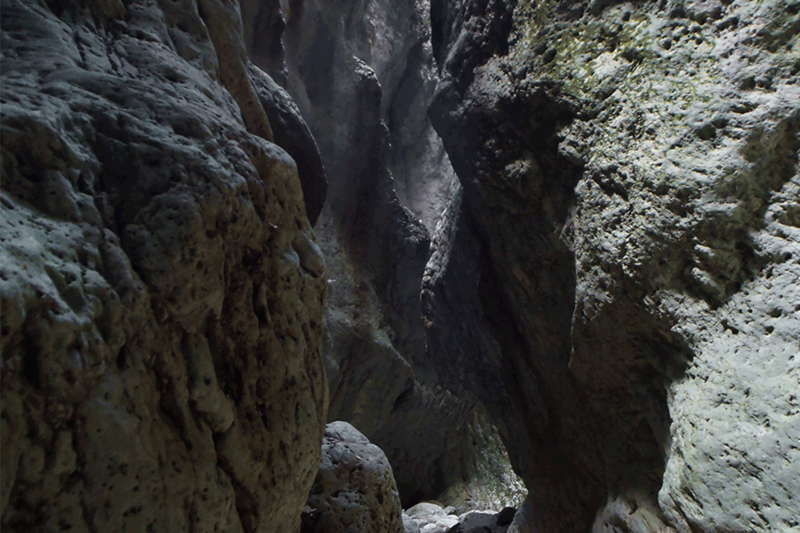 The caves that you will see with us are less known, a kind of "secret" we like to say. 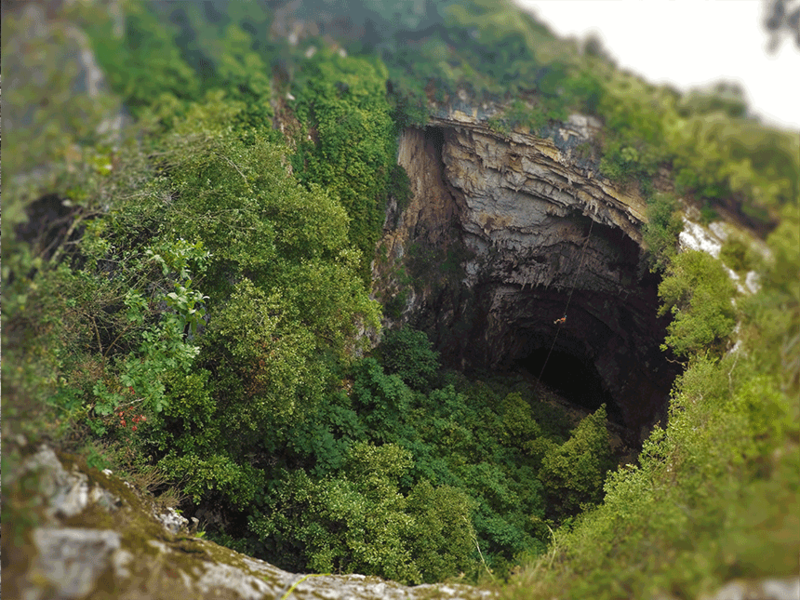 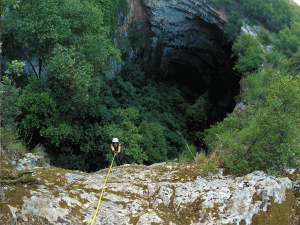 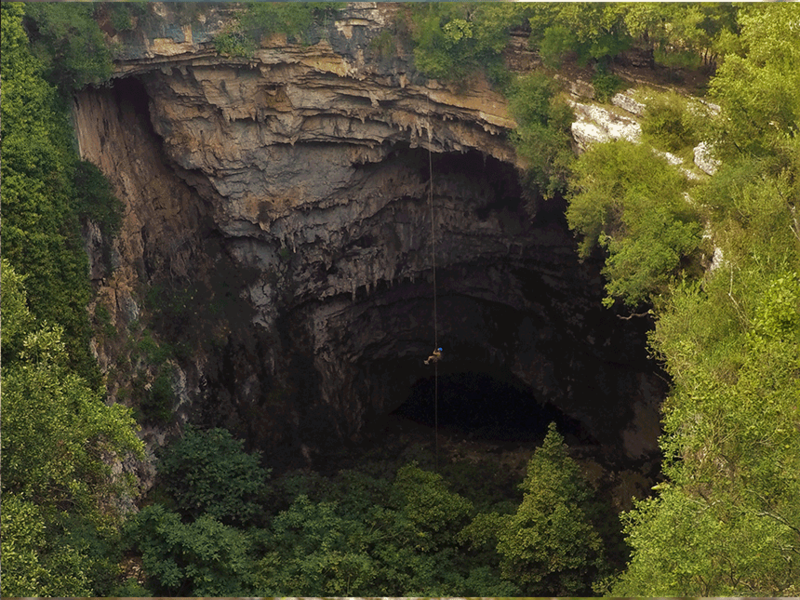 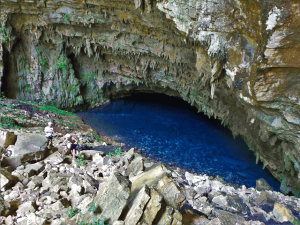 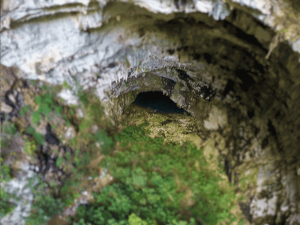 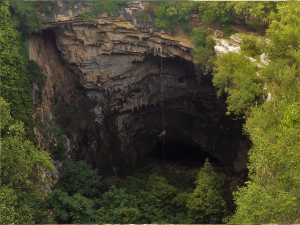 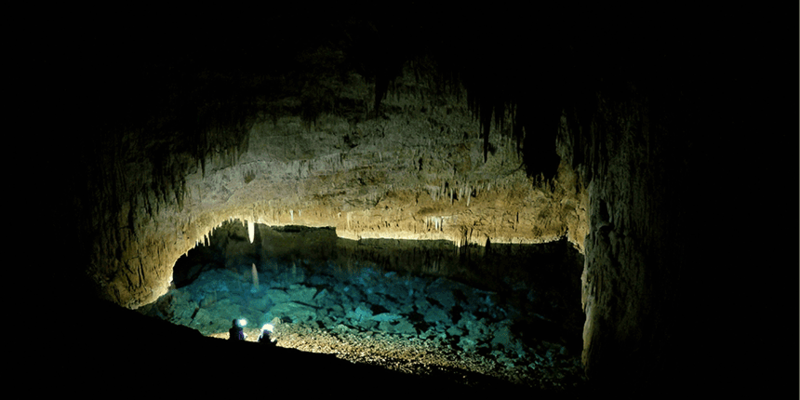 Deep sinkholes, stalactites, underground lakes and bats. What else could you possibly ask for? 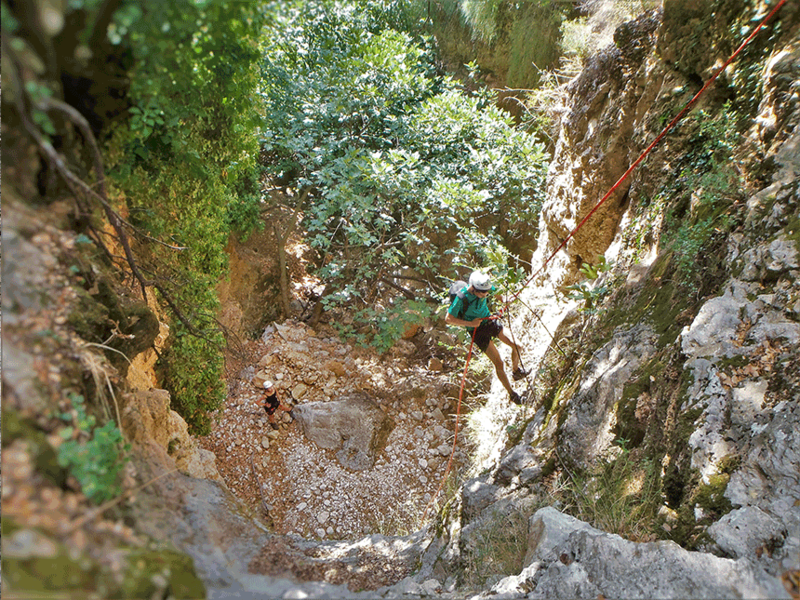 Homemade sandwiches and cold water are supplied for free during this activity. 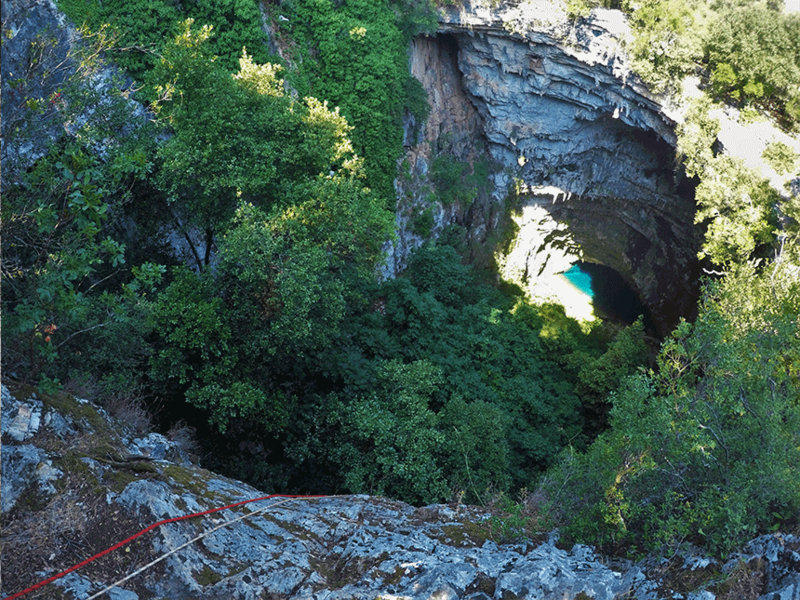 Easy access and descent, 72 meters deep and a blue lake with its crystal clear waters, awaits you towards the end! 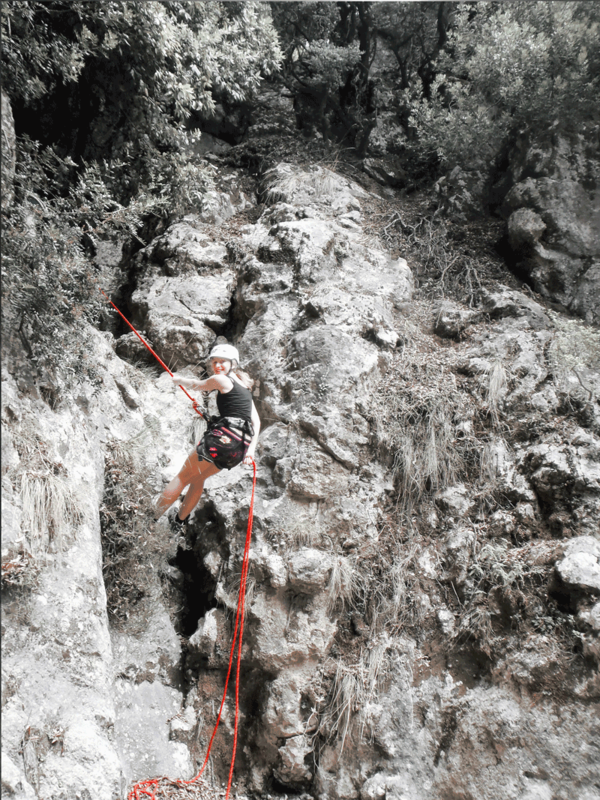 There are two options regarding descents length. 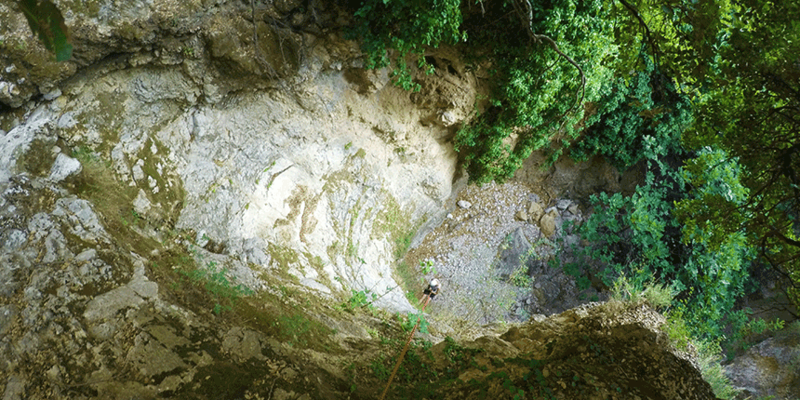 The standard one is 25 meters and the extreme one is 42 meters. 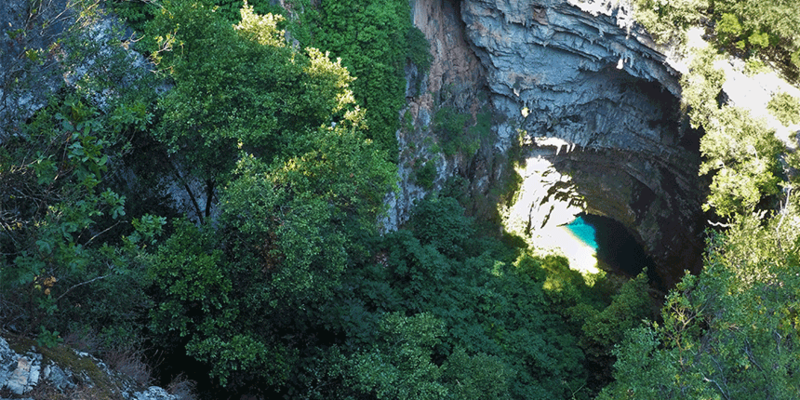 Swimsuits and towels are a must have! 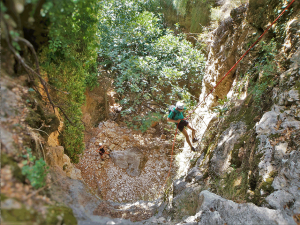 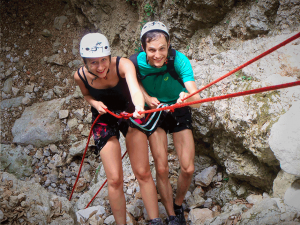 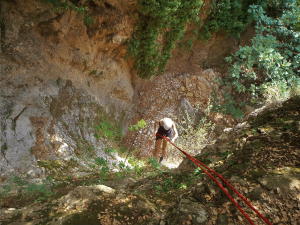 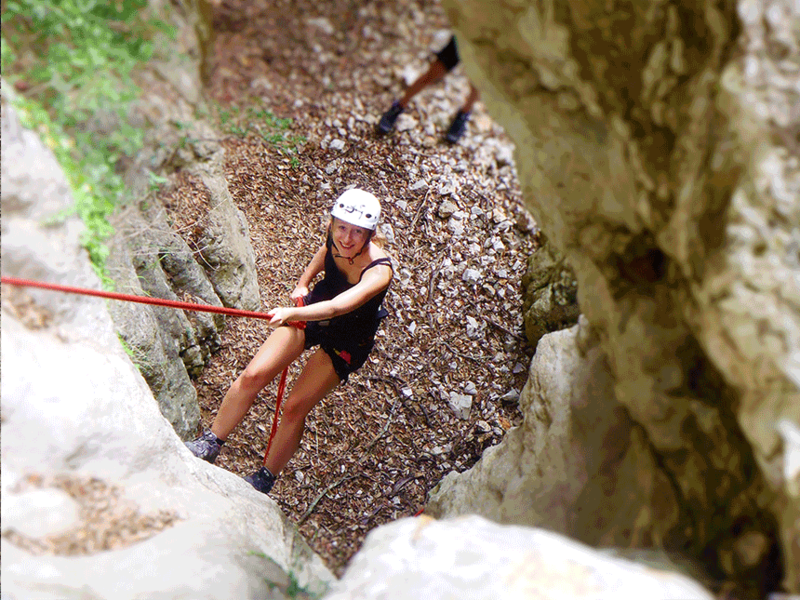 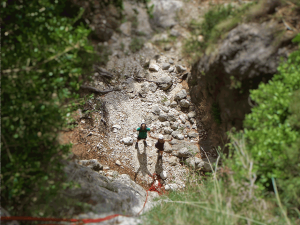 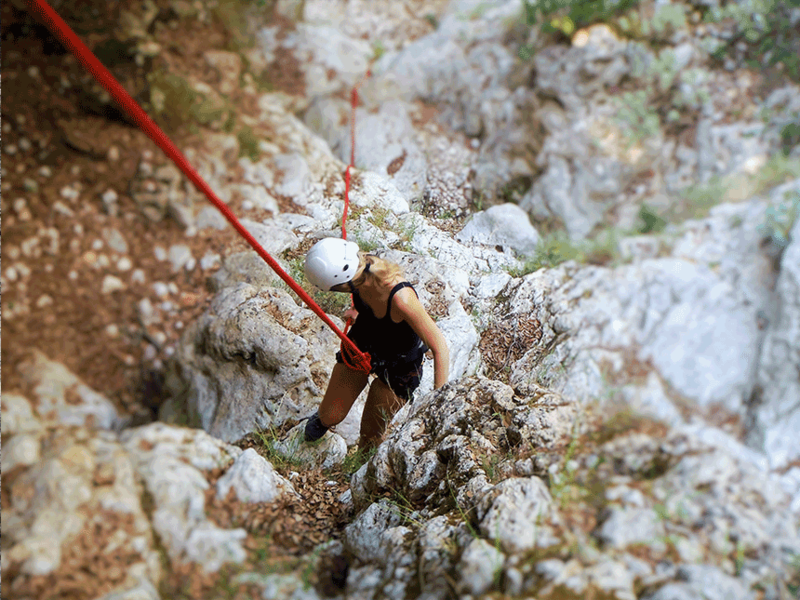 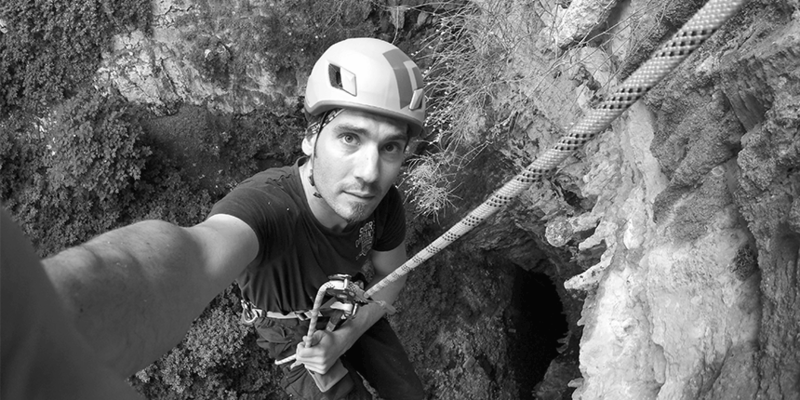 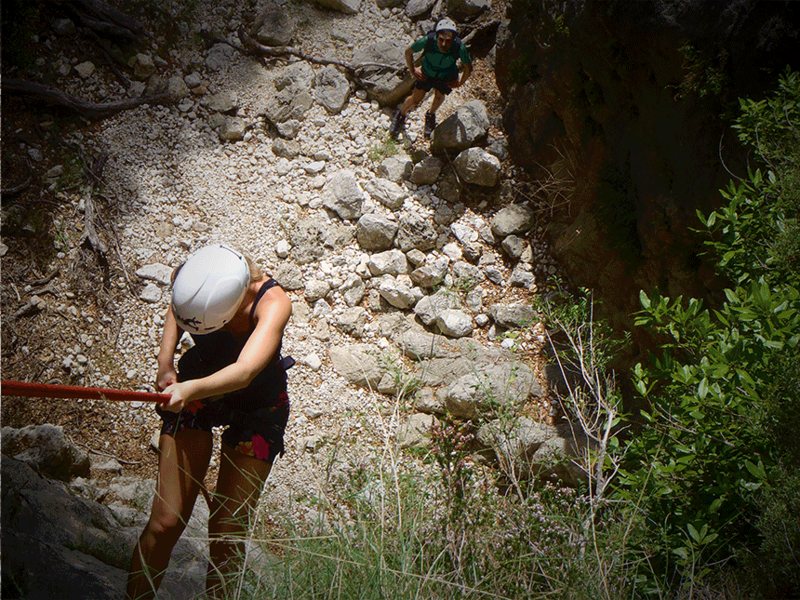 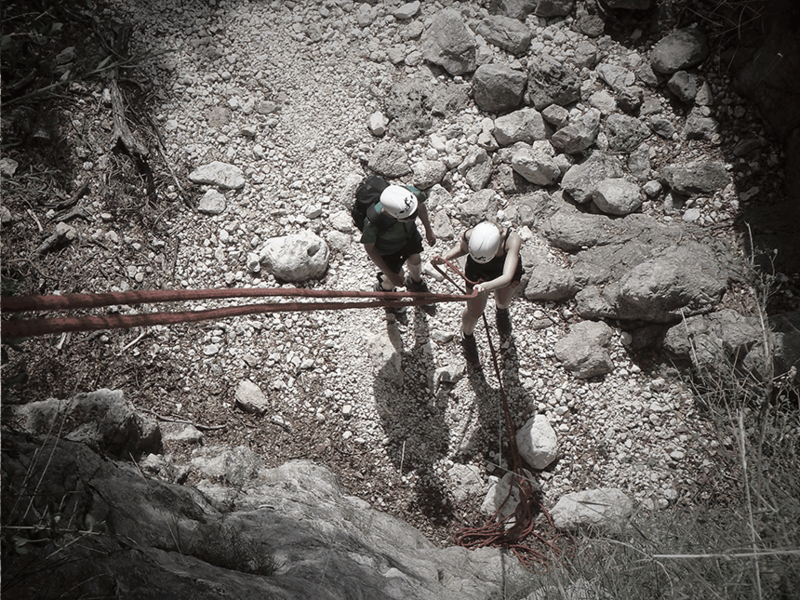 The best (dry) canyoning experience on Kefalonia! 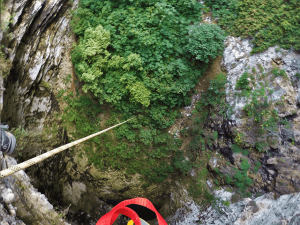 3 canyons and 17 abseils will keep you more than busy wearing your harness and helmet all day long! 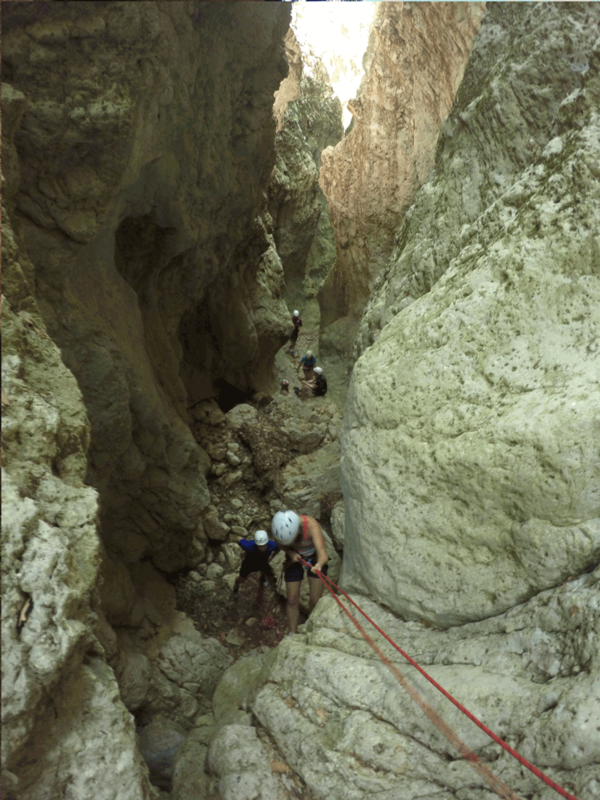 Not a single uphill, bombproof anchor points, beautiful scenery and our vehicles waiting at the exit of each canyon to take you to the next one! 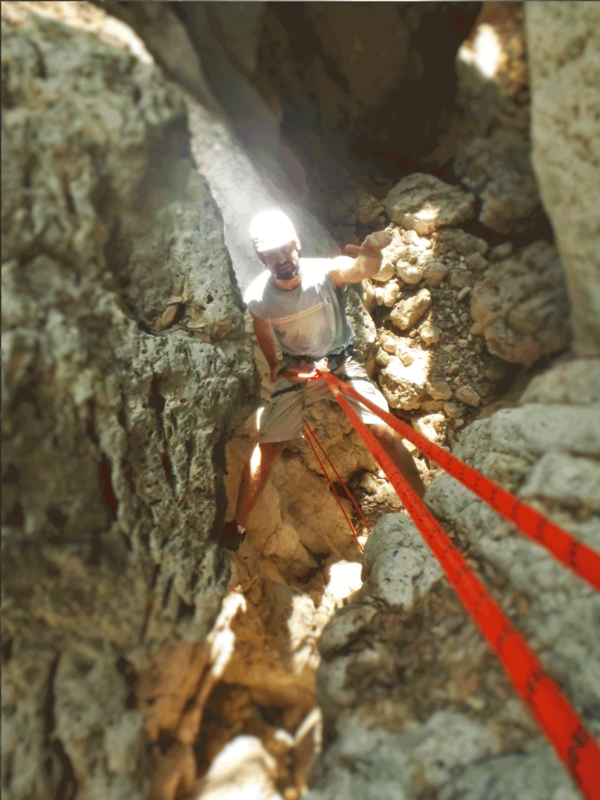 10 abseils and many drop to climb down will keep you busy for about 5 hours in the mountain environment of Ainos! 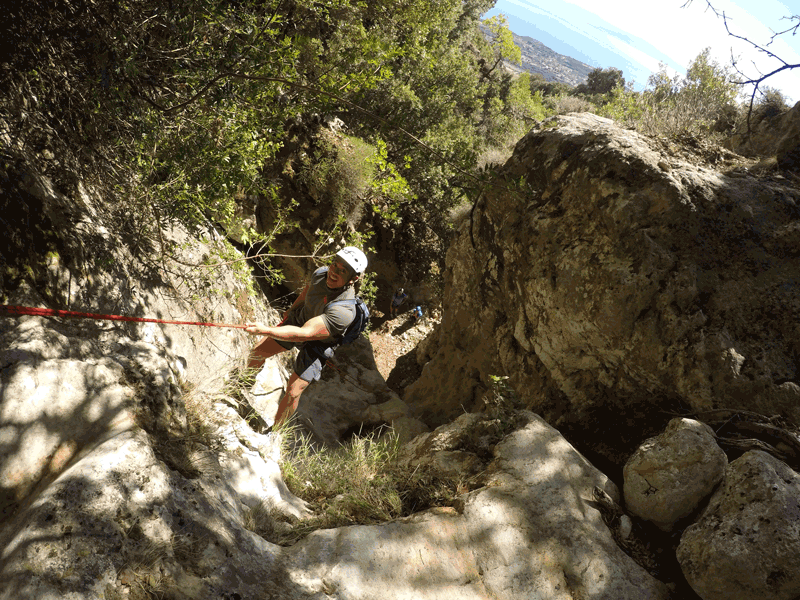 The adventure starts from the only source of water on the highest mountain of Kefalonia which is also the place where the wild horse are often spotted. 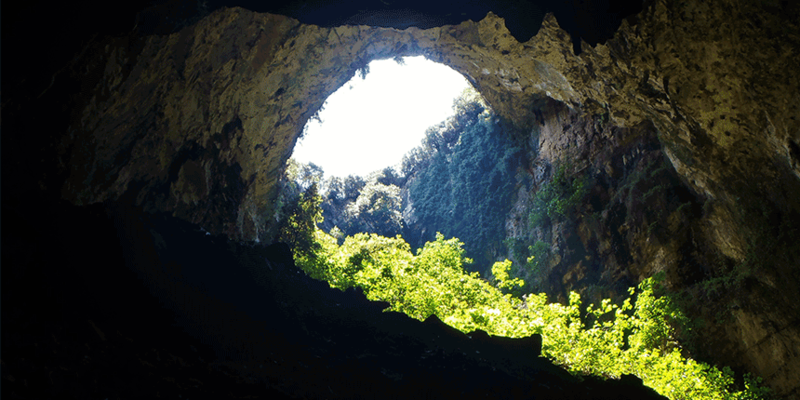 Did i mention the great view to Zante island and the Ionian Sea? 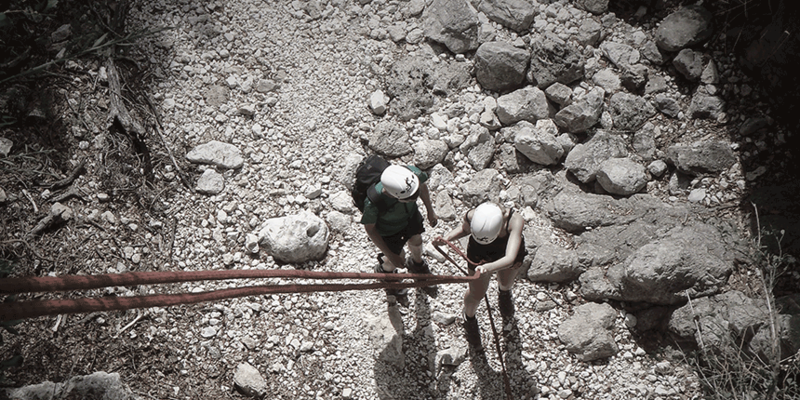 Homemade sandwiches & water are supplied for free during this activity. A small in size but very beautiful canyon! 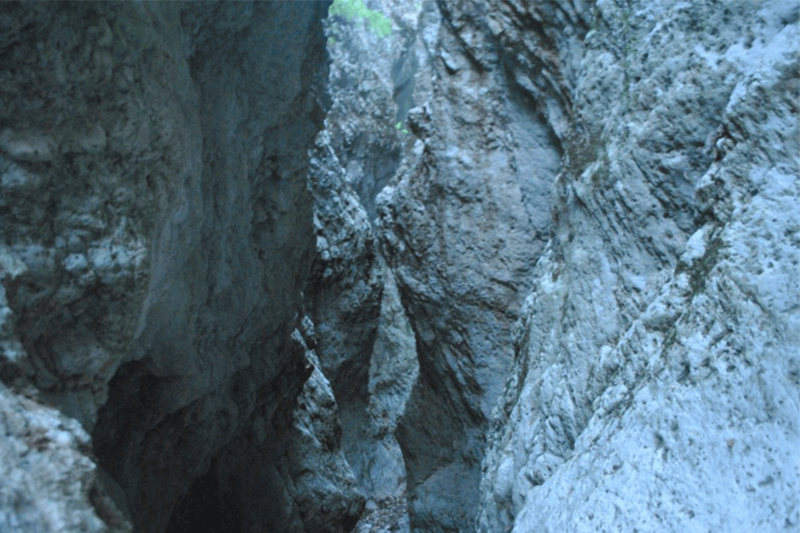 You will love its narrow passages. 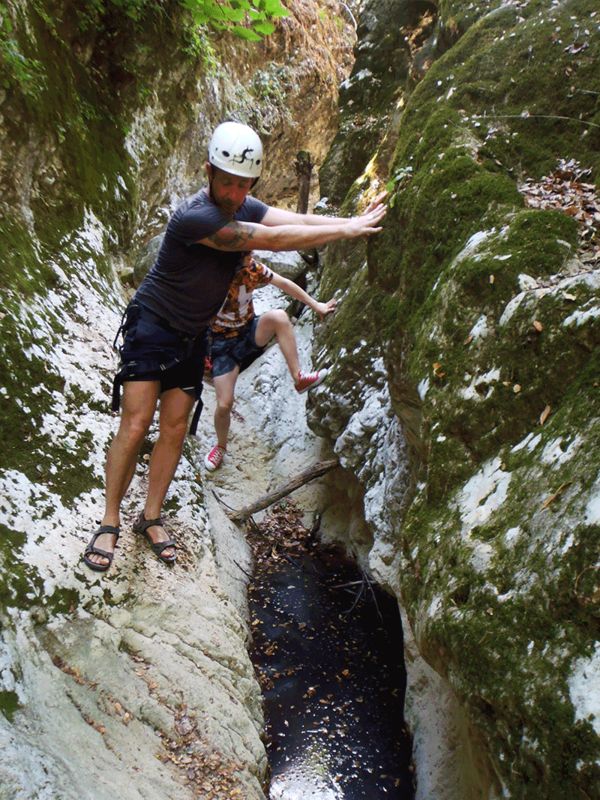 It takes only 2 short abseils and your children can definitely follow you there. 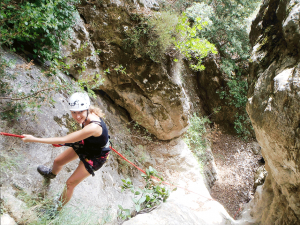 The best way to have a short adventure and see what happens when the water meets the rock! 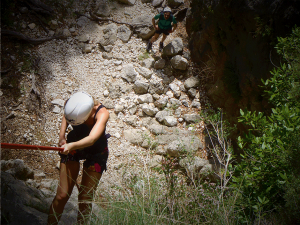 Cool bottled water is supplied for free during this activity. We teach you how to climb safely. 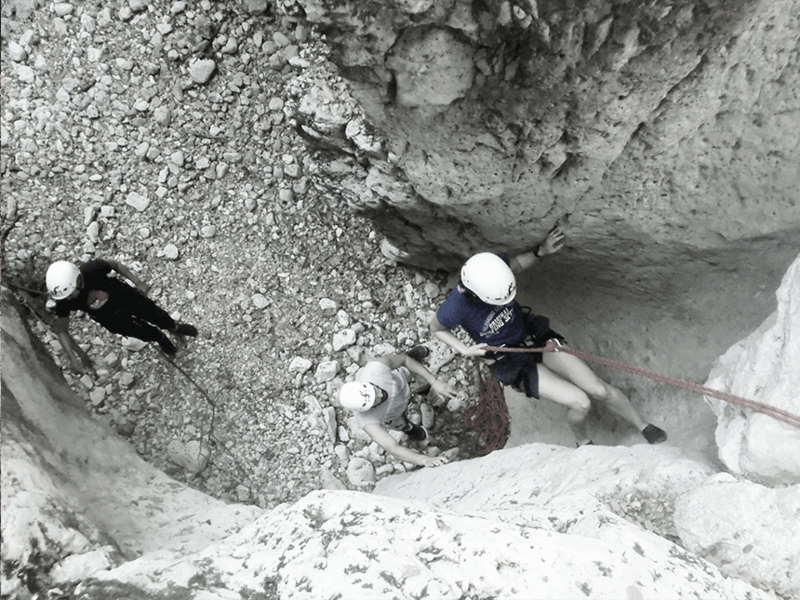 We teach you how to climb high. 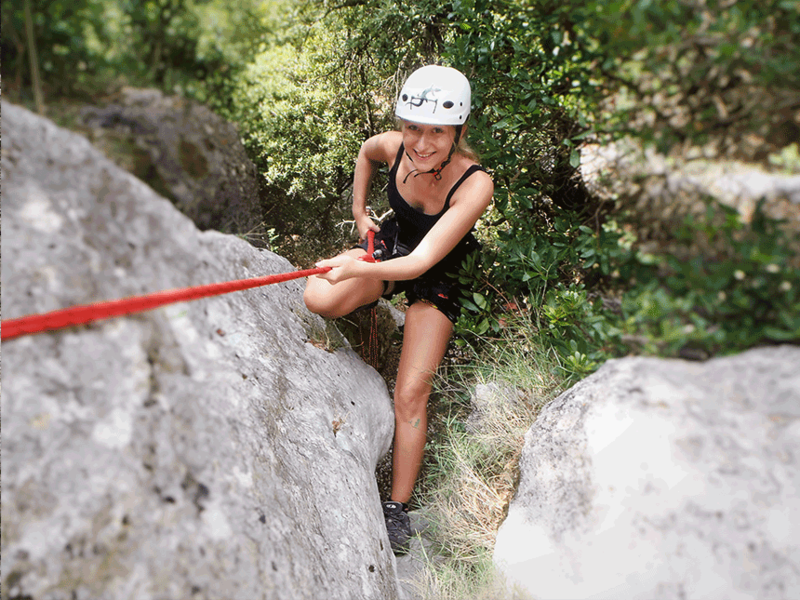 Deeply committed to making every person enjoy the way to fitness. 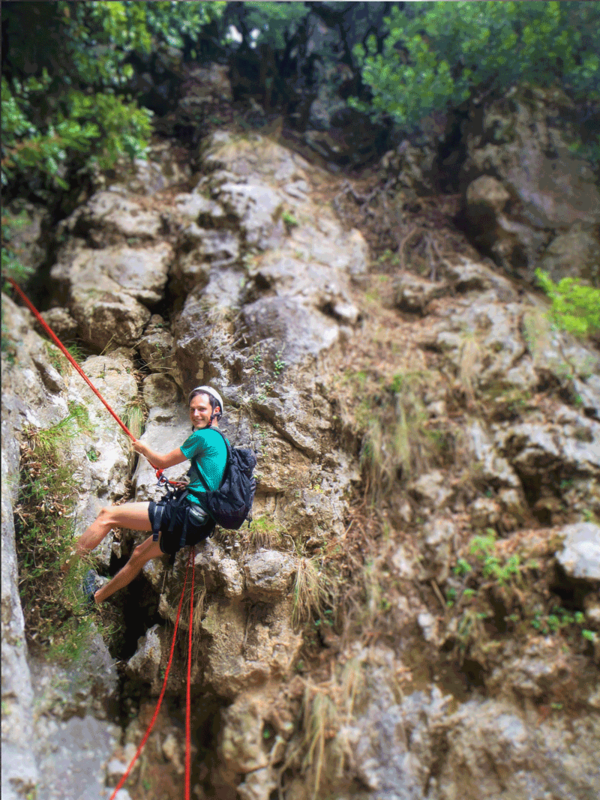 Rock climbing helps you keep yourself balanced mentally and physically. 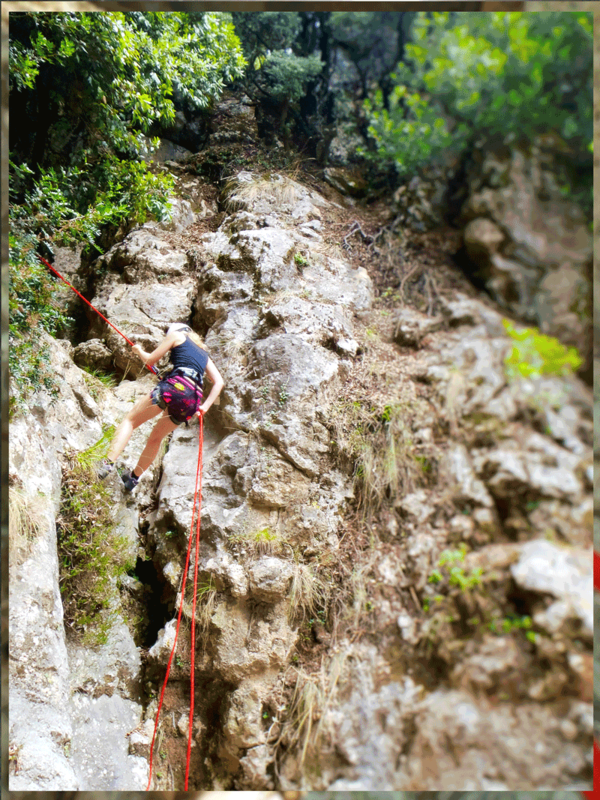 You exercise your body and your mind as well. 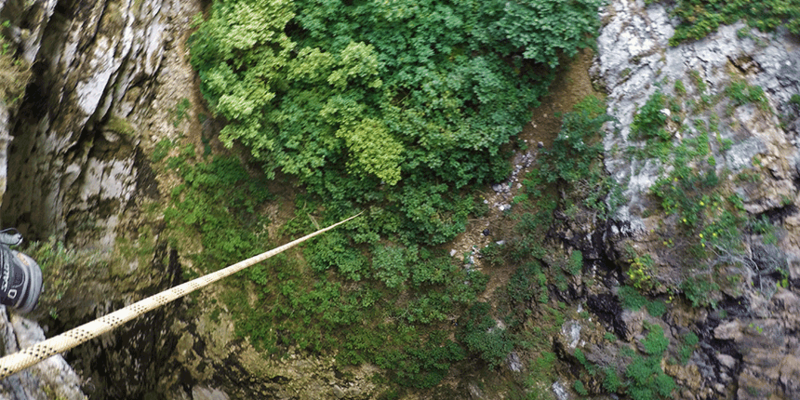 Hanging off a cliff with a rope, your next move is your only concern! 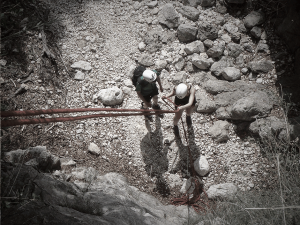 We have opened routes for all skill levels. 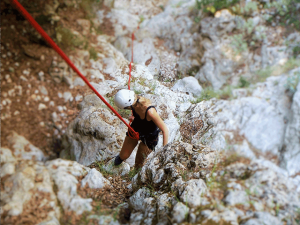 Suitable for children or even experts! Even if you have only practiced in an indoor climbing wall, this is a great chance to climb on real rocks. 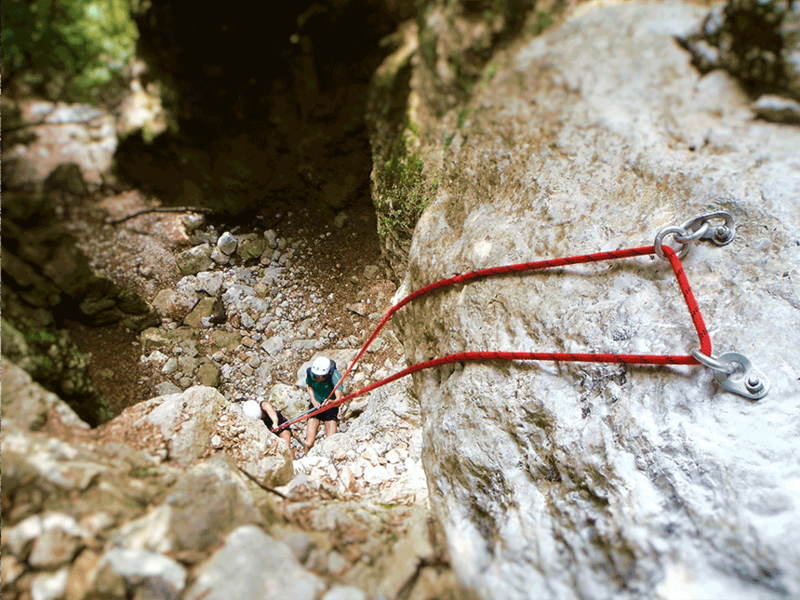 Climb safe, our climbing areas! 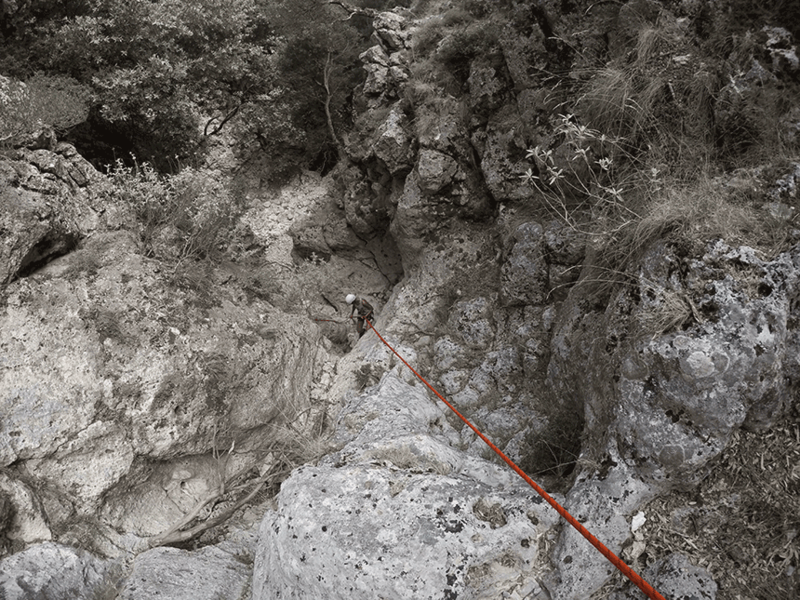 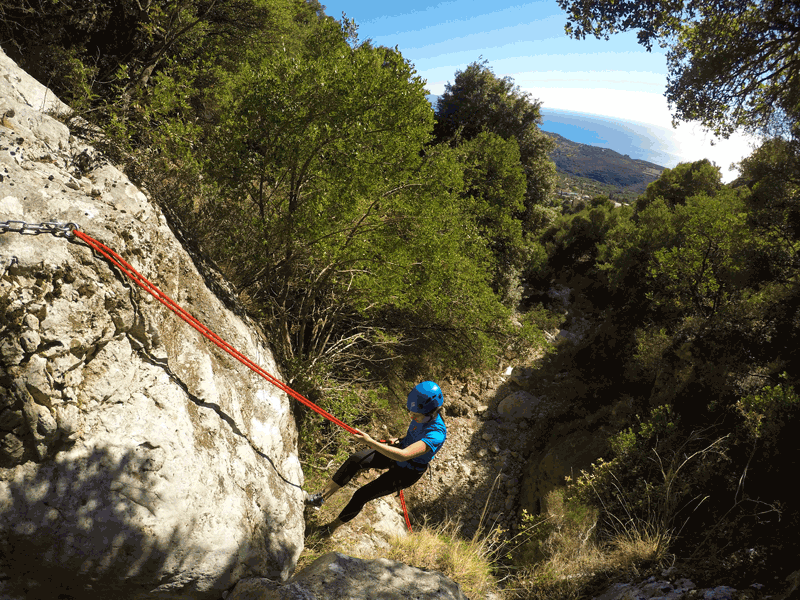 Routes for all, from the novice to the… “expert level”, for adults or children! 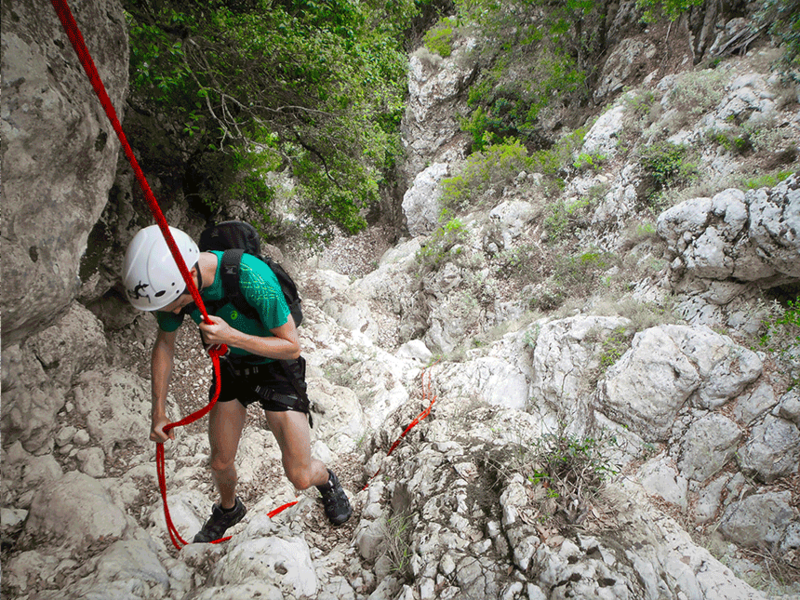 Climb safely and securely, Enjoy the magic of landscapes! 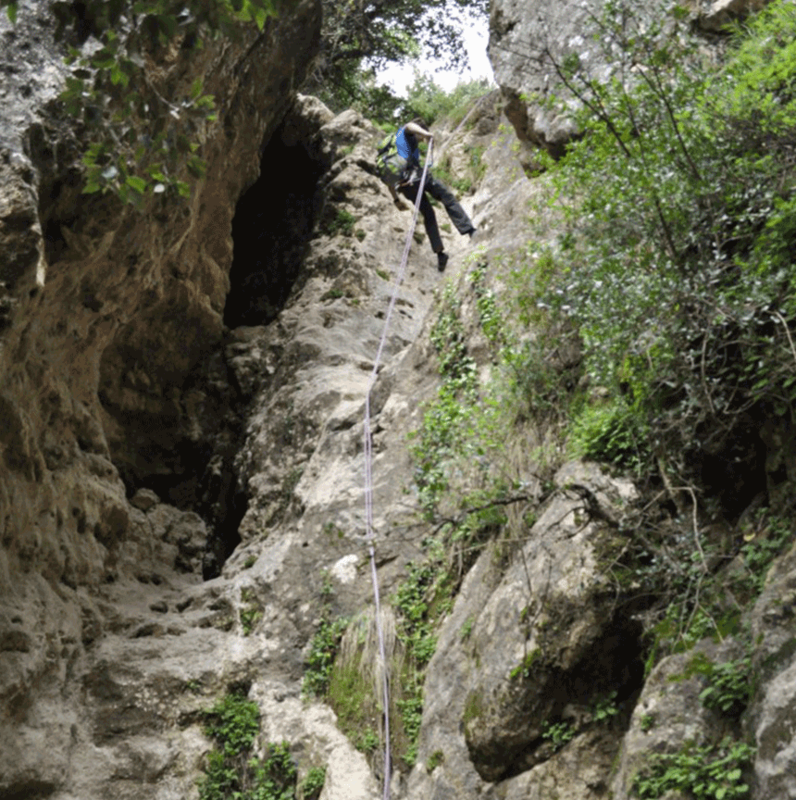 Contact us for more details and for the routes grades, their length, etc..